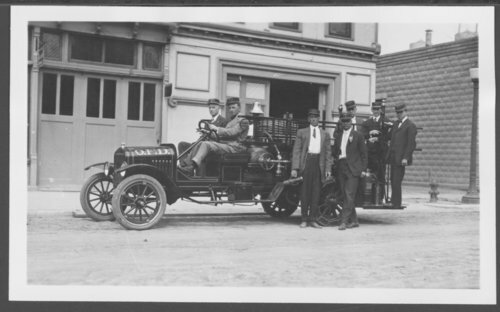 This black and white photograph shows a group of firemen in their uniforms standing beside or seated behind the wheel of a fire truck in Osborne, Kansas. The second image is just the fire truck. Both images are, probably, in front of the town's fire station.